Packing for any trip can be stressful, throw in the added pressure of competition and it can be near impossible! Here are my 25 competition bag essentials for athletes. Tick it off as you pack and wave away your packing worries! Uniform – make sure it’s clean and packed in a separate bag to everything else. I once had a tube of toothpaste explode on my uniform whilst travelling! Cheer Trainers – and make sure you have both of them! Extra Socks – in case you or a teammate loses theirs. Spankies – and/or your appropriate underwear. Poms – and dancewear and footwear if a part of a pom, hip hop or jazz team. Warmups/training wear – represent your team, but feel comfortable. You don’t need to wear your uniform all day so bring a change of clothes to relax in. Comfortable shoes – like flip flops or trainers to wear when you aren’t performing. Tickets – Or ID cards/wristbands. Make Up – when packing your make-up, ensure the lids of your products are closed. Crumbly bronzer is not what you need when rushing to be ready for warm up! Hair Bow – as important as your uniform! If you have any spare, also take those in case a teammate forgets theirs. Hair Accessories – Comb, brush, hair ties, bobby pins. Tip – use an empty Tick-tack container as a bobby pin holder. Hair Spray – for keeping your hairstyle fierce! Plus hairspray can be used for a number of other useful things. Spray it along the line of your spankies to keep them from riding up, spray on the bottom of your feet to keep your feet from slipping around shoes (especially helpful for ballet shoes), and lightly spray over your face to keep your makeup in place (just a light spritz, not for use on sensitive skin and remember to keep your eyes closed!). Toothbrush and toothpaste – you want your teeth to be looking great for all of those facials! Lady garments – mother nature has a way of showing up in the most stressful of times. Even if she doesn’t visit you, she may visit a team mate that you can help out. Baby wipes – they are an absolute life saver! They clean up and freshen up anything and everything! Tip – they’re great for wiping your cheer trainers too! Deodorant – just try not to get it on your uniform! Safety Pins – a saviour for a multitude of emergencies! Athletic tape – or strapping for any current/recurring injuries you may have. Schedule – to include timings of your day, postcode of locations and hotel information (if applicable). Camera – each competition has its own story for you and your team. Document it, remember it and treasure it. Money – the cheer shop is always tempting! But make sure you budget enough for food and drinks for your entire trip. Snacks – to keep your energy levels up. Water – stay hydrated! All day! Before you arrive, while you watch, before warm up, after warm up, after your performance, while you watch, before awards, after awards… you get it… Staying hydrated is the most important part of your day! A positive attitude – go out there, give it your 100% and come off the floor proud of yourself. Make sure a trophy is only the bonus of a great competition, not the making of it! 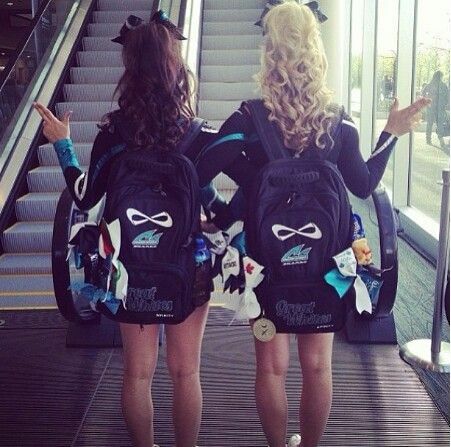 Do you have any essentials that you bring to competitions? Comment them below! 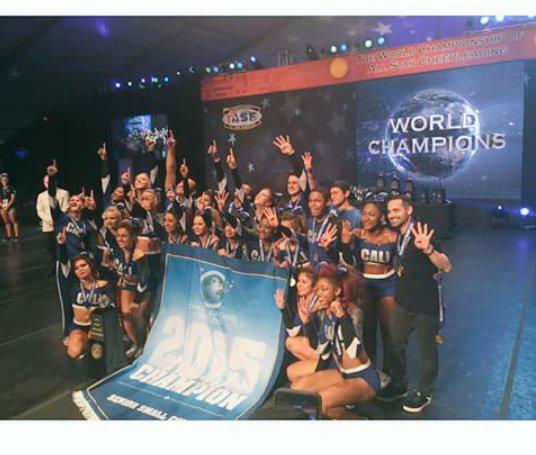 Unity Allstars – Their 2015 Worlds Story! 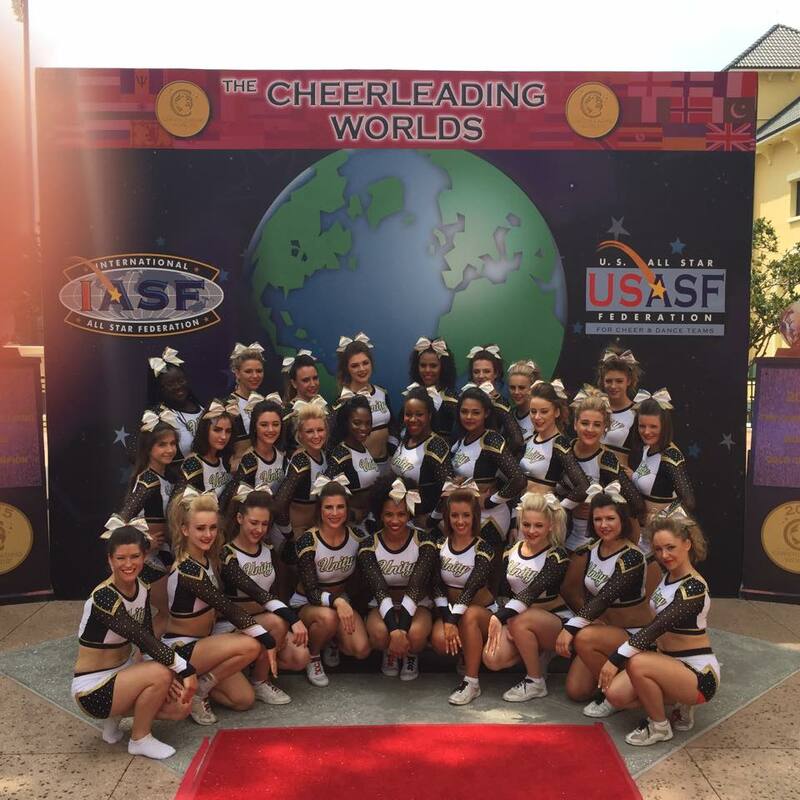 Celebrity Dream Cheer Team – Our top 10 ex-cheerleaders who should combine to make a celebrity cheerleading squad!